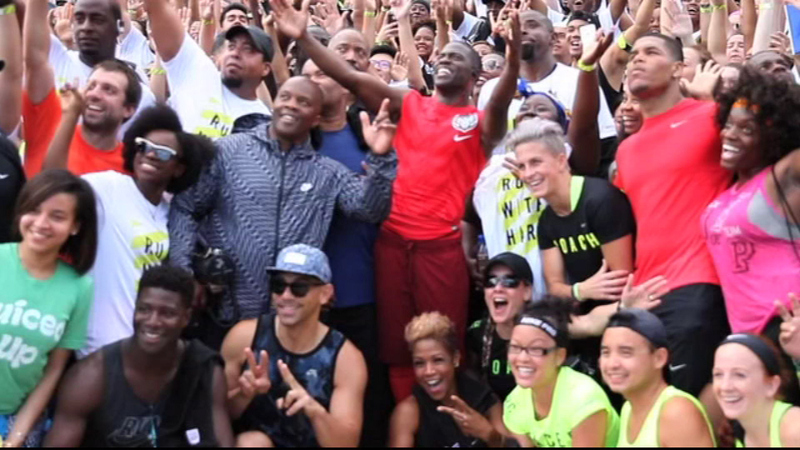 Kevin Hart held a spontaneous 5K in Chicago that began at the Field Museum. About 1,700 people joined him for a run along the lakeshore. CHICAGO (WLS) -- Actor and comedian Kevin Hart's latest stand-up tour is wrapping up a three-night stop here in Chicago. Earlier Friday, he got a big warmup in with a few hundred of his closest friends. Hart held a spontaneous 5K Friday morning that began at the Field Museum. About 1,700 people joined him for a run along the lakeshore. Windy City Live's Val Warner talked to the actor about his mission to move. "I love to do things on the fly, you know, have the spontaneous movement. So, the whole purpose for me doing things like this is for me to motivate people, get people up, get them out of their ordinary schedule and get them doing things they don't usually do," Hart said. You can see more of Val's exclusive interview on Windy City Live Monday morning at 11 a.m. on ABC7.